Charles Nii Armah Mensah Jnr., (born 17 October 1984) known by his stage name Shatta Wale (formerly Bandana), is a Ghanaian born producer and reggae-dancehall musician. He is best known for his biggest breakthrough hit song Dancehall King which led to he winning the Artiste of the Year at the 2014 edition of the Ghana Music Awards. Charles changed his name to “Bandana” after senior high school and released the hit track “Bandana from Ghana”. The song made tremendous air waves in the Ghanaian music industry in 2004. After the release of his first Album titled Bandana from Ghana, then Bandana went into musical hiatus until he re-branded himself to Shatta Wale and released his hit song Dancehall King in 2013. He is the leader, chief executive officer (CEO) and founder of the Shatta Movement (SM) or (SM4LYF). Shatta Wale’s rise happened at the 2013 VGMAs, with his musical dexterity, he composed a song against the organisers of the Ghana Music Awards titled Letter To Chatta House because he alleged the organisers robbed him off the Dancehall Artiste of the Year to female Dancehall Artiste Kaakie. The song had very uncharitable lyrics. This the media, bloggers and other entertainment pundits claim led to his breakthrough and relevance in the Ghana Music Industry. His greatest hit in 2013, Dancehall king took the airwaves by surprise. Shatta wale’s musical revenue is mostly generated through hosting of shows which attracts most 1000’s of Ghanaian youths. In January 2014, Shatta Wale, joined hundreds of Ghanaians to welcome the Queen’s Baton Relay, which was on tour of some Commonwealth countries, ahead of the games in August 2014. Grateful for the opportunity given him, he took to social media to thank those who made it happen. 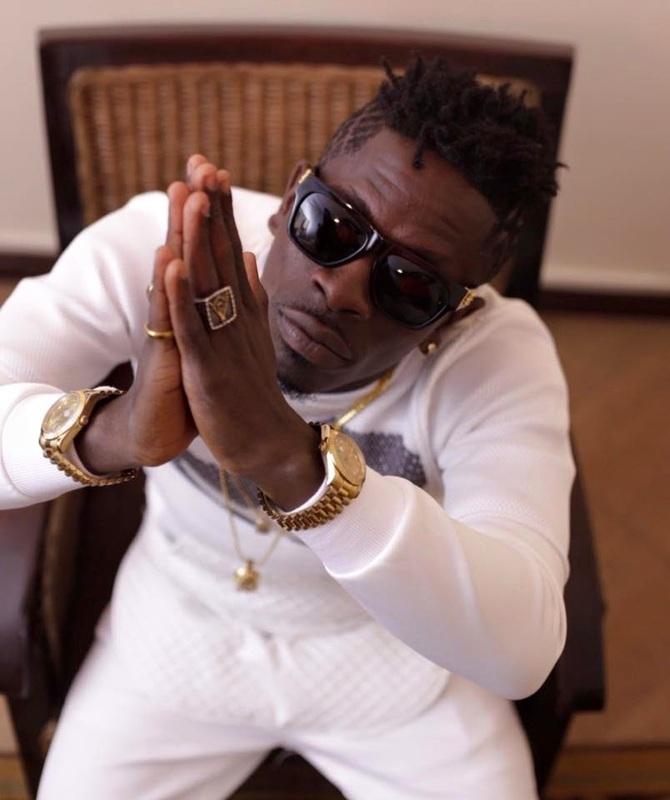 In May 2014, British Newspaper, The Guardian, reported that the five must listen to tracks from around the world includes Shatta Wale’s song Wine Ya Waist featuring Davido from Nigeria. In the same year 2014, his song You Can’t Touch Me was widely used for the Dancers Against Racism Campaign Worldwide. In 2015, Shatta Wale asked not to be nominated in the Vodafone Ghana Music Awards even though he could have won the prestigious Artiste and Song of the year for the second time running with his hit songs Dancehall Commando featuring Sarkodie, Party all night long featuring Jah Vinci Wine ya waist featuring Davido and Korle Gonno among many hit songs he released the preceding year: because of a pending court case with the organisers of the awards, Charter House Productions Limitedfor allegedly making defamatory remarks against the CEO of Charter House in a video he uploaded on his Facebook page. Shatta Wale’s hardwork in 2014, got him nominated for the maiden GN Bank Awards as the People’s Choice Male Musician of the year. He was also named the 38th Most Influential Ghanaian by E-TV Ghana in 2015 in their annual survey of influential people in Ghana.